SMG Chestnut Green Family Medicine (Foxborough) - Book Appointment Online! SMG Chestnut Green Family Medicine is part of the Steward Health Care System, a community-based accountable care organization and community hospital network serving more than one million patients annually in 85 communities. 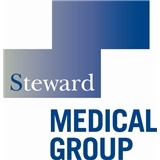 Steward Medical Group and all of its parts believe in providing world-class health care where you live. The Steward Medical Group physicians of Foxboro are proud to serve the community in their healthcare needs. He listened. That’s what was important to me.